Yes, Ivy Aspire helps students in their master’s application process. However this is not part of our GMAT coaching sessions. Ivy Aspire was founded by Shaista Baljee and Keshav Baljee, both have done MBA from the Indian School of Business, Hyderabad and under graduated from the Wharton, Universities of Pennsylvania. 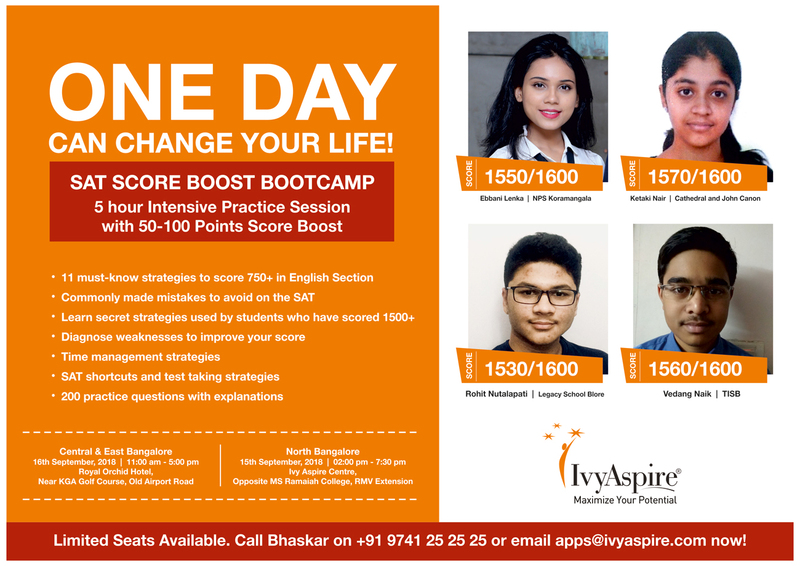 Ivy Aspire is India’s first complete college preparation program to provide end-to-end counseling services to aspiring candidates for higher education. Since we have ourselves studied abroad at the Ivy leagues, worked in college admissions committees and most importantly helped thousands of students get in to their dream school. We are proud that we are the leading quality-focused counseling institution in India. To know more about our Admission Counseling Services, do call us on +91 9900038551 / +91 9741252525 and speak to our counselors. You can also email your queries to contact@ivyaspire.com and info@ivyaspire.com, we will be happier to answer all your queries. Does Ivy Aspire also help in my application process? Is this part of their coaching session? How much does it cost to take the GMAT? What ID am I allowed to take to the GMAT test center? How do I register for the GMAT? Where are the test centers for taking the GMAT? How often can I take the GMAT? Can I reschedule my GMAT test date? What schools use GMAT scores? When do I get my GMAT scores? How can I send GMAT scores to schools? What is the test structure of the GMAT? What is the IR (Integrated Reasoning) section in GMAT? What is the GMAT score range? How do schools use the GMAT scores? How to best prepare for GMAT? Is it ok to guess answers on the GMAT? What is MBA Application counseling process? What is Ivy Aspires’ success rate? Give me a good reason to choose Ivy Aspire compared to others in the market?